We have transitioned to Portland OR and are no longer performing home inspections. Because home inspectors depend on real estate agents for referrals, their opinions are cuffed. They are in dual agency, satisfying the real estate agent in order to get more referrals, while attempting minimal disclosure. We have been unabashed advocates for home-buyers for more than 30 years. Our competitors in the business have said they can't walk in our shoes. Ask your attorney for a referral. The real estate agents should get clear that it’s not the inspector’s job to help them sell the building no matter how many referrals they promise. 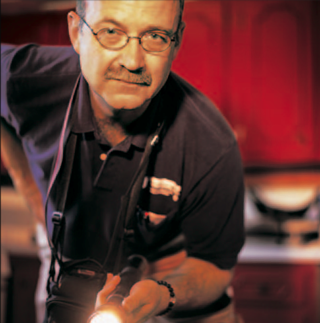 Home inspectors never kill deals; the buildings do. Why not comment about how we made the buyer so strong that they were able to negotiate the price or condition before they walked away? All of our clients are stronger after a Tomacor inspection. Many real estate agents have thrown a significant portion of their commission back at the buyer in order to hold the deal together. Tomacor has never killed a deal. The houses speak for themselves. Real estate agents are supposed to be sales agents. We believe they should develop a keener sense of sales when selling the property. It’s good for the buyer and the seller. With professional disclosure from the seller, no one would have to compromise their commission. This comment was actually thrown at Tomacor during a real estate sales meeting many years ago. We admit we treat our clients like family members. And we accept that criticism as an endorsement. Giving buyers real choice in real estate.